The Cai Wen Yu Association of Traditional Martial Art and Chinese Culture was founded in 2001 by Sifu (Master) Cai Wen Yu, with main headquarters at São Paulo and a secondary one in Campinas. 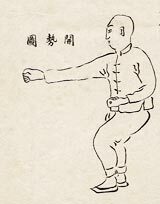 The association offers classes of Martial Arts (LaoQigongYi Quan, LaoQigongBa Gua Zhang, LaoQigongXing Yi Quan, LaoQigongTai Ji Quan) and LaoQigong. The classes are ministered exclusively by Sifu Cai (pronounced “Tsai”). New groups with at least four people may be formed. We welcome all Arts enthusiast who wish to meet us.